She may have spent the better part of the past decade voicing various critters for animated movies and TV shows, but Wanda Sykes has been in the business for a while, and her impact on pop culture cannot be overstated. Since getting her start as a writer and performer on The Chris Rock Show in the ’90s, Sykes has been a ground-breaking presence in comedy, paving the way for other black, women, and LGBT voices that would follow in her footsteps. This year, she’s hitting the road on another multi-city stand-up tour and just announced a stop at the iconic Chicago Theatre on April 9. Regular ticket sales began today at noon and seats are expected to go fast, but, lucky for you, The A.V. Club has a pair of tickets to the show and we want to give them to you. Thanks to the fine folks at The Chicago Theatre, we’re giving away two tickets to see Wanda Sykes on Saturday, April 9 at 8 p.m. For your chance to win, simply send an email to avcontests@theonion.com with the subject line “Wanda Sykes.” Be sure to include your full name in the body of the email. On Friday, February 26, we’ll select one random winner from our eligible entries and notify them via email that day. Two tickets will be held at will-call under the winner’s name and will be available for pick up on the day of the show. You don’t have to be Chicago-based to win, but we’re only giving away tickets, so you’re on your own with travel and lodging. 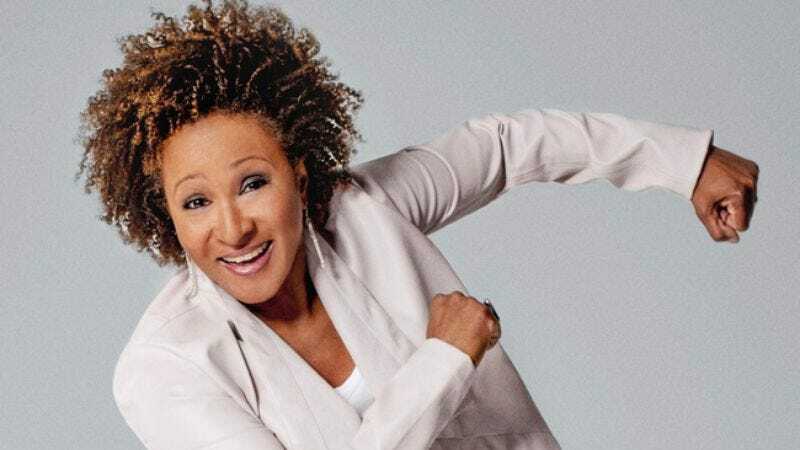 Further ticketing information for Wanda Sykes’ show at The Chicago Theatre can be found here.